3/14/17 Hell and Highwater with Meria and Chuck Ochelli. Warping of reality;Kellyanne and microwave story; cell phones;NSA-Patriot Act-NDAA; Operation Northwoods;Castro;Dave McGowan;wiretapping;Roger Stone;Russian steel; death panels;trumpdontcare bill;Breitbart “deconstructing the government”; fake alternative media;Racism/Obamas/art;trump the war president vs. Hillary the war monger;Kim Jon;”temporary” is never temporary;SNL;MSM;immigrants;9/11 and demonization of Muslims based on LIES. 17th Year on the net! Education you don’t get anywhere else – commercial/censor free. Subscribe to access/download entire site 24/7. because of your subscription. Support truly independent media -endorsed by David Icke. 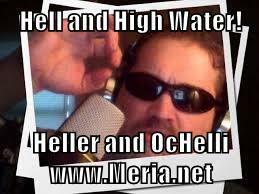 3 Responses to "Hell and Highwater with Meria and Chuck Ochelli"
Obama has been involved in CIA programs since childhood, he was also involved with the MARS colony program. That said he is and always has been a tool for the CIA and the shadow government. Trump is a KKK mafia backed big spoiled baby / bully. He is a clown 100% being controlled by the agenda and too ego centered and dumb to realise that on his own. He is a distraction while the agenda moves foreward in the shadows. i remember my past lives and the incarnation process completely, that said i know who controlls the agenda and how it is being played, they are not all focused but divided and infighting among themselves. It would be nice if they all take themselves out by attacking each other. it is prescripted dramas made by soul contracts during the incarnation process, but remember the global elite puppets are living in a constant state of fear now / dementia. The dramas are not important just distractions. Nothing will be solved by governments, legislation, legal actions ect…. the system is too corrupt to be fixed and is dying before our eyes in a mass of chaos. the majority of people are not awake and unfortunately many are cought in the mind controlled chaos and dramas and that is not anyones job to fix that but their own because we live in a freewill zone. No one can impose their will on others is what that means and why they use all the lies so that people give their freewill away in their rediculous beliefs in the entire corrupt system of governance by bloodline global elites. Those of us that are not asleep in the matrix anymore know what freewill means, we change the world by changing and healing our inner selves, because we know that through our connection to the global human consciousness we contribute our truth to all the Madness, hence help heal them too in the process. This is a hologram folks we are not our bodies and we only take with us when we die what we have learned. Do not live in fear and trust your intuition to guide you through the Madness by using your will to set your boundries. That said it is useless to think you have your freewill if you go out and vote it away to anyone or anything, like beliefs in religions or governments. i love your Itallian / Brooklyn perspective,, this show is too good to be only once a month, puts a smile on my face everytime i hear you both together.